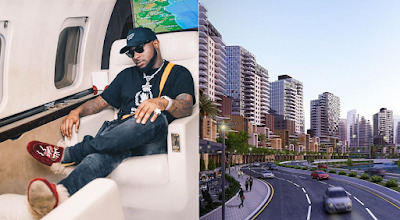 Eko Atlantic City says it is untrue the allegations by singer Davido that he was denied approval to hold his upcoming concert in the city because of his political affiliations. The management of Eko Atlantic sent a disclaimer through its Twitter handle, saying they got Davido’s request last Thursday, after which, they asked him to provide clarification and details about the event. Part of their statement read, “Subsequently we are yet to receive the requested information so the notion we declined his request is false! “Some of the additional information requested was pertaining to security provisions as Eko Atlantic is not an event centre and rather a city with existing residents and businesses. “In light of this, we have strict rules and regulations when it comes to events and activities within the city which require due process. “To imply, we are politically motivated cannot be further from the truth! “We expect the same safety and security measures from event organizers who hold events in Eko Atlantic City. Any event within the city requires a proper level of planning, safety, and security from event organisers. Davido has also reacted to the statement by Eko Atlantic with a puke face emoji on his Twitter handle.